In 2010, there were 5 new posts, growing the total archive of this blog to 27 posts. There were 12 pictures uploaded, taking up a total of 4mb. That’s about a picture per month. The busiest day of the year was September 1st with 38 views. The most popular post that day was Home. 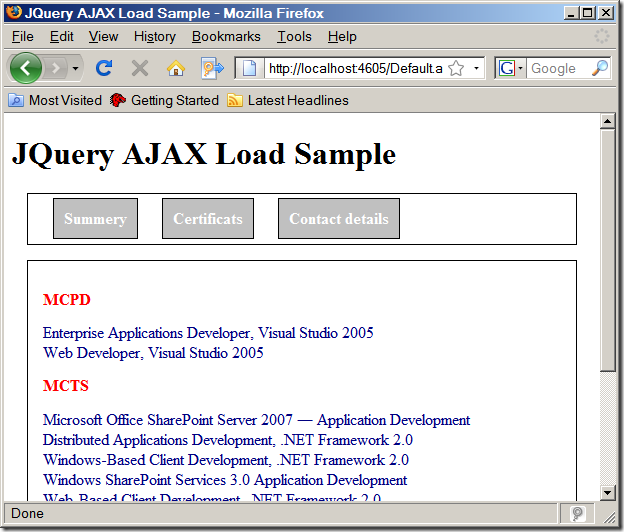 The top referring sites in 2010 were oryxdev.com, social.msdn.microsoft.com, oryxdev.net, google.co.in, and google.com. Some visitors came searching, mostly for jquery ajax sample, presentation layer sharepoint bi, sharepoint oracle database, php ajax vehicle tracking, and loading effect in silverlight.